The mechanical clock in the former New York Life Insurance Company Building at 346 Broadway is one of the last in the world that must be wound every week by hand to sound the hours. MANHATTAN (CN) – New York City’s landmarks commission improperly green-lit plans to electrify the largest mechanical tower clock in the world so that the building’s new owner could take up residence, an appeals court ruled Thursday. Writing for a 3-2 panel in Manhattan, Judge Ellen Gesmer called the decision to approve the clock conversion “both irrational and affected by an error of law” and annulled the decision. “Indeed, the only other clock in the world with a similar mechanism is the one atop Westminster Palace known as Big Ben,” Gesmer wrote. The city’s landmark commission designated the building an interior landmark in 1989, noting the “special character” and “special historical and aesthetic interest” of the spiral staircase and mechanical clock. 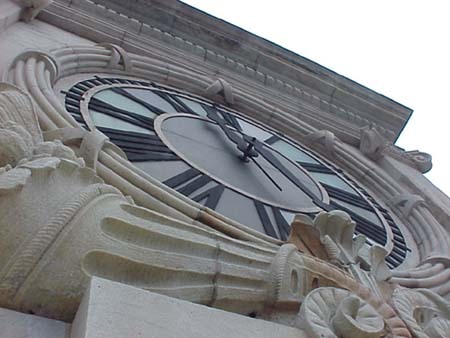 But the clock’s fate was all but sealed in December 2013 when the city sold the property for $145 million to Civic Center Community Group Broadway LLC. 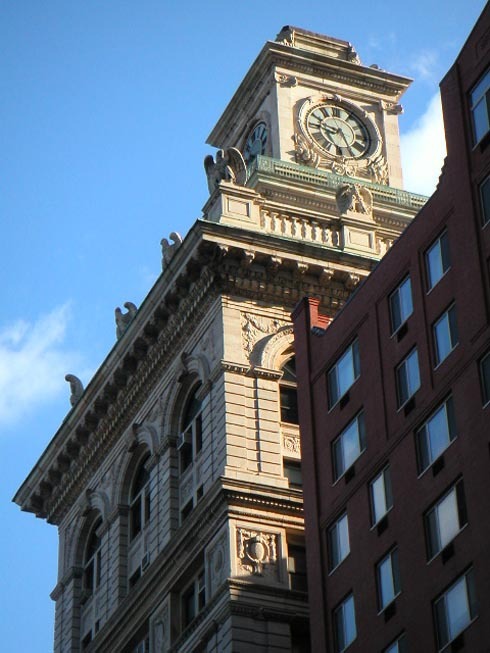 Gesmer notes that the developer initially agreed to allow the landmarks commission inspect the clocktower suite periodically, and leave the exterior clock unchanged. A year later, however, the developer submitted an application to convert the clocktower into a triplex private apartment. 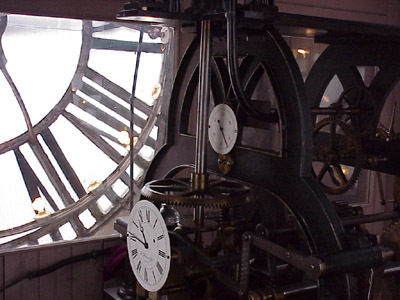 As part of the plans, the mechanical clock would be disconnected and converted to an electric clock. “So [the clocktower apartment owner] can store his suitcases up there,” a commissioner asked during public hearings on the application in 2014, as quoted in the ruling. Finding that it lacked the authority to compel preservation of the landmark, however, the commission ultimately issued a reluctant ruling for the developer. Still the renovation never got off the ground thanks to a legal challenge by a group of local businesses and organizations. Last year the Manhattan Supreme Court annulled the city’s work order, and the Appellate Division’s First Judicial Department affirmed Thursday. 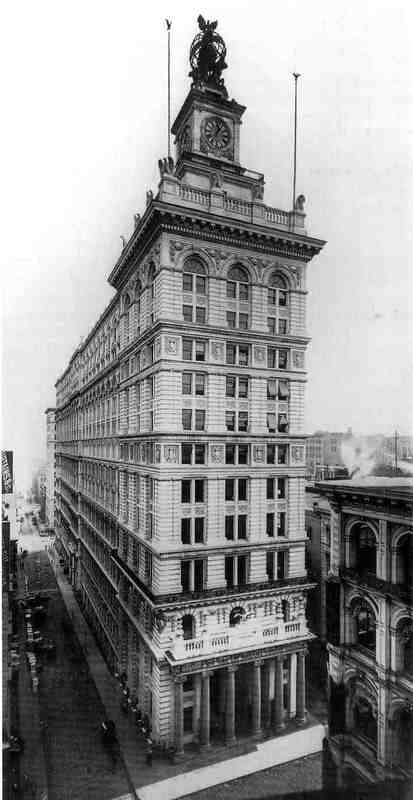 Gesmer also noted that the final permit granted to the developer required the developer to provide public access to the main banking hall in the building, another interior landmark, and not use it for residential purposes. Further, the deed used to purchase the building notes that the purchase is subject to a landmark designation, she noted. “It is difficult to see how an interior landmark located in a private home can foster civic pride in the city’s past, educate our citizens, enhance tourism, and provide the stimulus to business and industry that tourism provides,” Gesmer wrote. In a dissenting opinion, Judge Marcy Kahn wrote that the LPC acted appropriately and that the landmarks law does not explicitly state that an owner of a building with an interior landmark is required to maintain public access in perpetuity. Requiring public access, particularly to those requiring handicap-accessible elevators, would impose “additional burdens in terms of time and cost” on Civic Center, Kahn wrote. “Moreover, as is evident from the small floor areas of the clocktower suite, the number of people who would avail themselves of public access, were it afforded, would be necessarily small,” the dissent continues. A spokeswoman for the LPC did not immediately return a call and email seeking comment. Civic Center’s attorney Jeffrey Braun, of Kramer Levin, could not immediately be reached for comment. Attorney Catherine Hoge, who also represents Civic Center at the firm, declined to comment on the decision.